With the need for stress, anxiety, depression related healthcare products on the rise, Central Nervous System (CNS) disorders have become a strategically important therapeutic segment for Unichem. The company’s CNS products seek to meet the needs of patients, neurologists, neurosurgeons and psychiatrists through a novel therapeutic approach. Unichem has aggressively expanded and strengthened its position in this segment, covering a wide array of products that include anti-depressants, anti-psychotics, anxiolytics, cerebral activators, anti-platelets and neuropathic pain drugs. 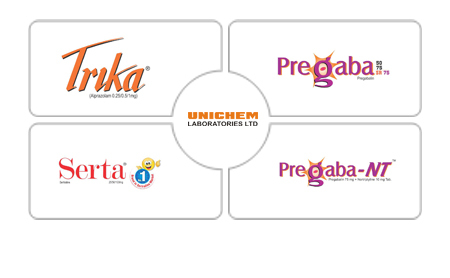 Unichem is eyeing many more new launches in this segment to consolidate its rank and position.